Trigger warning: this video uses images of graveyards and loneliness to raise concern about caring for children (ending child abuse). Please choose accordingly. 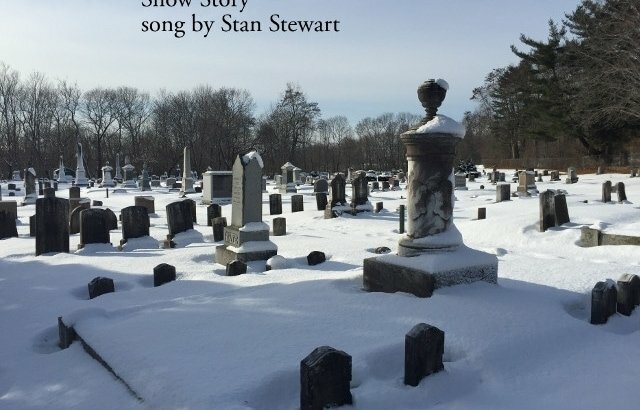 Since you’ve been following along, you have already heard the song “Snow Story” and know that it asks us all to help end the cycle of child abuse. You also know that I created a heavy rock version to express my upset about this subject. You also know that all proceeds from this song go to ChildHelp. I knew I wanted to create a video for this song. And I knew that I wanted it to be different. It doesn’t matter if you are a young parent or living in a retirement community, it’s important to remember that children deserve to have positive care. My bet is that treating children with greater kindness will result in a future generation that values caring generosity. And that sounds like a good thing to me. How about you? In the USA, about five children are killed in abuse every hour. That’s a repulsive statistic that we need to change in our lifetimes. This means changing everything from national leaders who spout abuse (while failing to retain or pass legislation that would help children) to our own behavior towards children. Creating “Snow Story” is one of the ways that I am changing my own actions. I had several ideas for the images in this video. As I prepared to create a version that was overly dramatic and literal, our snow melted away. Thankfully, that was a gift to my creative process. That video would have been much too heavy handed. Instead, I was inspired while visiting Maine to take some raw footage in a snowy graveyard. Though still heavy, I found these moving images to be both evocative and poetic. I also kept some of my more literal footage of lighting a fire on a dark night. Finally, the thaw comes in the lyrics and so the streams begin to break free. Thus, the final images are of ice turning to flowing water and an opening in the trees. By having a more open and artistic video to accompany it, the song can literally sing out. I hope that you can hear the message that this snow story is trying to convey. Thank you. Care for children. Honor positive parents. Show kindness to each other. Also, you can stream both versions of “Snow Story” and all proceeds from this song go to ChildHelp.